Why is Fire Detection Important? Can you imagine being an octogenarian, living alone in a large house and falling in your basement, far away from your telephone? According to the Centers for Disease Control and Prevention, in any given year, more than one third of adults over the age of 65 suffer such a fall. This type of scenario could prove to be fatal and it is exactly why the elderly need medical alert systems. Medical alert systems provide help in the event of a medical emergency by connecting a person in need with personnel trained in responding to medical emergencies. These systems appeal to seniors and their loved ones as they look for ways to keep living at home and maintaining an active lifestyle while still having immediate assistance available. One of the most popular system is Life Alert which gained fame with their catch phrase “help! I have fallen and can’t get up”. This phrase has been the source of many jokes and late night TV skits. However, falls in seniors are no laughing matter. Falls and the fear of falling are debilitating and hinder a senior’s activities. Life Alert did not receive the highest rating or best review from us but they certainly have a large segment of the market so there review is worth reading so you will have something to compare your other options to. There are many newcomers offering innovative solutions and using technology to provide freedom and peace of mind for the senior and their loved ones. Each person’s circumstances are unique and researching all of the available options will take time. But it is time well spent because once the system is installed you will probably stay with that system for a long time. However, you can change systems easily because most providers do not require long term contracts or charge installation fees. Medical Alerts Guide is devoted to providing reviews, articles, and other resources to help you select the best system for your situation. Along with these ratings we describe the pros and cons for each system and provide our guidance in selecting a system. We have summarized all this research into an easy to read table of our medical alert systems reviews. Below you will find a list of our medical alert system reviews and they can be found under the Reviews section on this site. Bay Alarm Medical– One of the best systems available with a broad range of features, good monitoring service, a plethora of extra features all at one of the lowest prices in the industry. 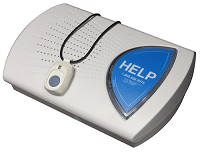 Life Alert– This is arguably the best known alert provider with the catch phrase “Help! I have fallen and I can’t get up”. Their cost is a little higher than most and comes with other fees, however their service is good. LifeFone – Offers a great monitoring service keeping medical history details on file although they do not offer a mobile GPS enabled system. LifeStation -A highly trained staff and a superior protocol for answering emergency calls gives this provider high marks. Medical Guardian – The company is a relatively new entrant, beginning sales in 2005 with a bevy of features. MobileHelp– As their name implies this company specializes in GPS enabled help monitoring although they lack some features found in other systems. Philips Lifeline– This service comes with many optional add-on features such as a medication dispenser and fall detector. Rescue Alert– Has a good core product but lacks many of the additional features found in competing offers. All agents are trained emergency medical dispatchers. 5Star Urgent Response – 5Star is part of the popular cell phone brand Great Call and this explains the focus on mobility and absence of a fixed base station. 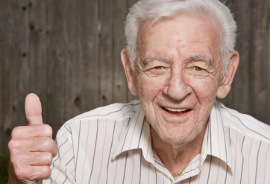 We provide detailed articles explaining feature benefits and issues of concern for seniors and their loved ones. Some examples of topics covered are below. Does Insurance Cover Medical Alert Systems? What is Carbon Monoxide and why is it important to monitor. How does fall detection work and why falls are a big problem in the elderly. The benefits of mobile alert systems powered by GPS technology. Finally Medical Alerts Guide offers free guides to resources which help seniors and those with disabilities or serious medical conditions in the case of an emergency, after the emergency, staying active and living at home. Our guide to non emergency transportation will help seniors get to medical appointments and other healthcare visits when loved ones or friends are not available. Medical Alerts Guide Copyright © 2019.